One of our partners Minutia Detailing has now added alloy wheel refurbishment to their ever growing list of vehicle presentation. Whether you have your car booked in for a detail or not you can still capitalise on this 48 hour service. Collection is also a possibllity. Their process is as scientific as their cleaning and consists of a full strip down as well as sealants such as Ceramic Pro being applied for the ultimate protection. Naturally included is refitting and rebalancing. 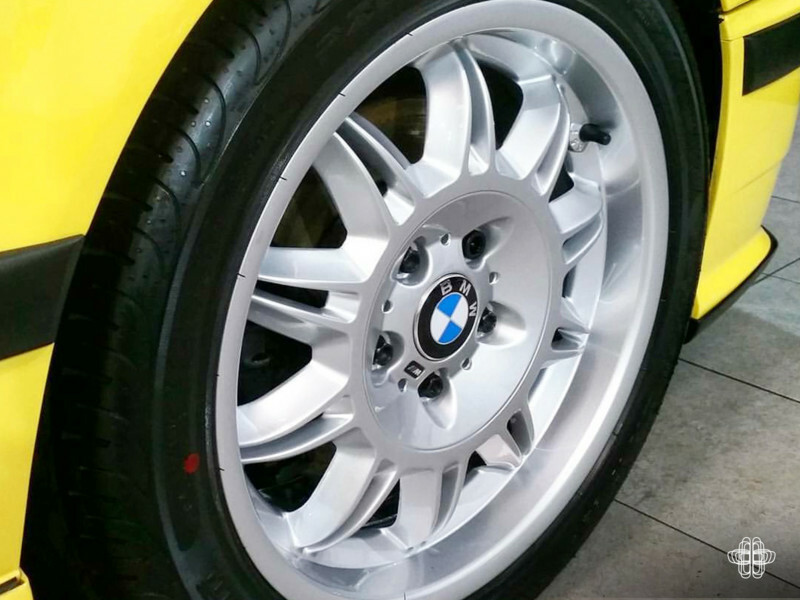 Even the challenging OE Shadow chrome finish on the E39 M5 and diamond cut examples are accommodated. Costs start at £70 per alloy and we're told that currently this is for any wheel and any size – someone please send them a chromed up JCB spinner – quick! To start a conversation give Mike a shout on info@minutiadetailing.com or call 07841 399767. Want to see more of their work before calling? Check out​ our review.